In 1968, Etro began as a textile design company started by Gimmo Etro. Since 1958, he studied the fascinating patterns on textiles, shawls, and scarves he had encountered during his many travels to different countries. After 50 years, the brand has expanded to include both men and women ready-to-wear, leather and home goods, textiles, and fragrance. Each line continues to draw inspiration from the Etro house library that has been archiving rare books and textiles since 1977. Today, the company is directed by Gimmo’s daughter and three sons. Ippolito Etro, who is now General Director, had stated, “My father always told us that we could do what we wanted in life. But he said, ‘If you work here, you have to start from scratch.’” Jacopo Etro follows his father’s footsteps by traveling to foreign countries such as India and Myanmar or along the Silk Road in search of fabrics and textiles. Kean Etro, who was designing both man and woman prêt-à-porter, now focuses on designing the mens collection since Veronica Etro became the director of womenswear. Her debut collection was in 2000 after working alongside Kean starting in 1998. Staying true to their roots of producing exceptional textiles with jacquard and prints, all Etro collections start with the fabrics developed by Jacopo and a design team. 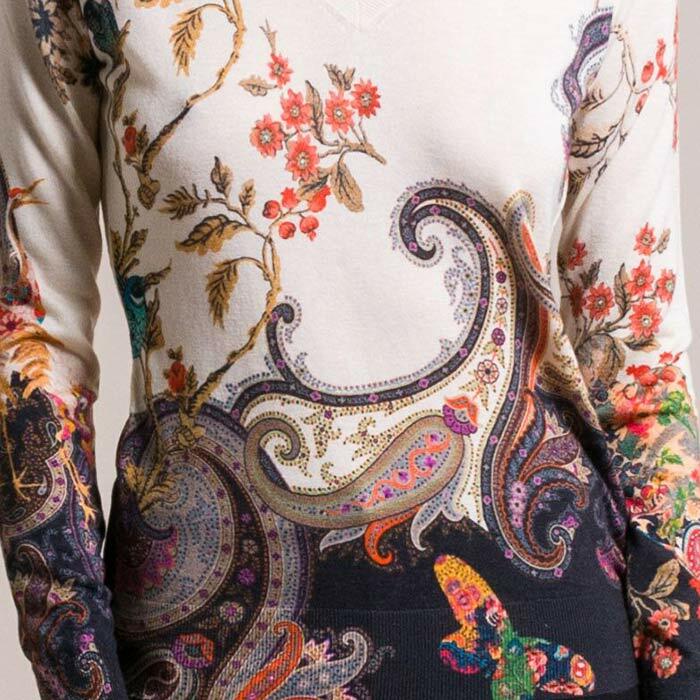 Paisley jacquard has been mastered by Etro, which became their signature in 1984. 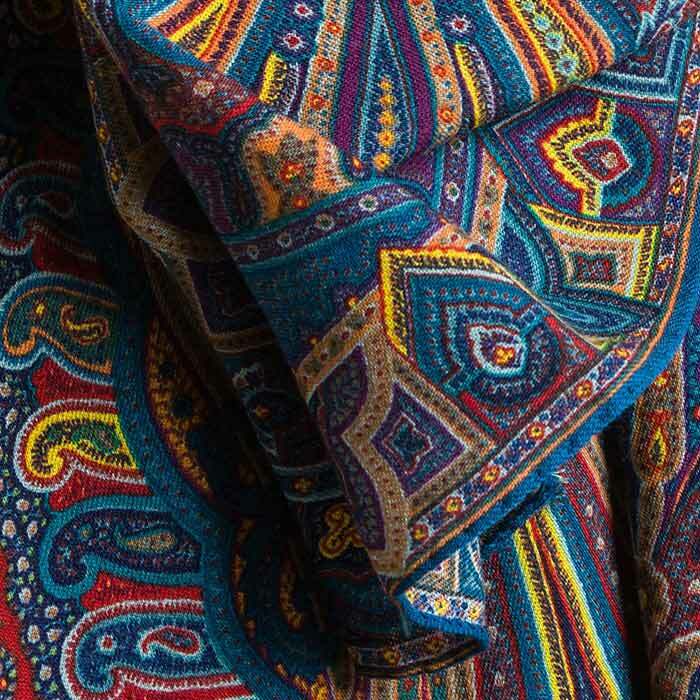 Ingrained into the history of Etro, paisley is now iconic to the brand. 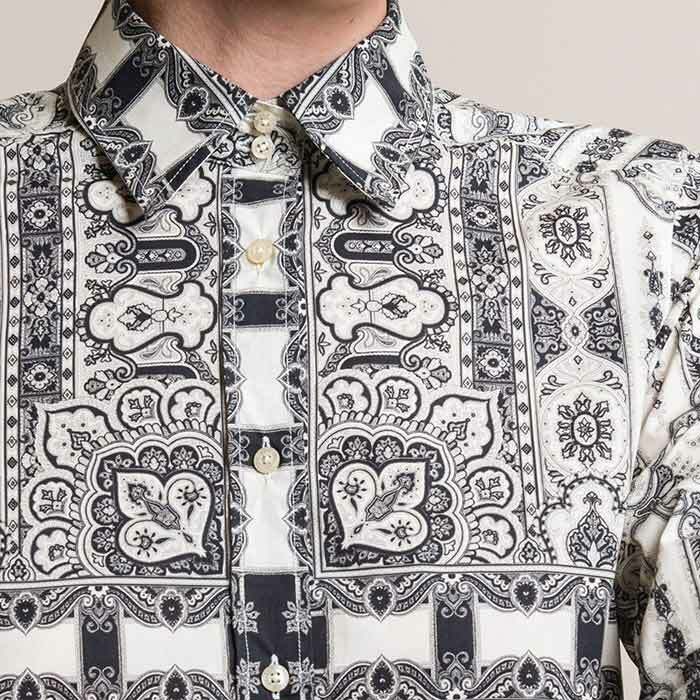 The paisley originated in Mesopotamia in the third century BCE and later spread into Indian prints and Celtic embroidery. Today, it has been continuously expanded upon and been a point of inspiration for the Etro family. Etro embraces a controlled maximalist aesthetic, which includes playful and striking colors, unexpected pattern combinations, and fine fabrics and textiles. Veronica Etro’s personal design process for her collections involves traveling, collecting, and research. Her notes, textiles, images, and pieces are created into a collage, allowing many ideas to flow. She combines, separates, and shuffles these individual pieces to create a summation greater than its parts. Working by subtraction, Veronica refines the composition, which then becomes the inspiration for the next season. 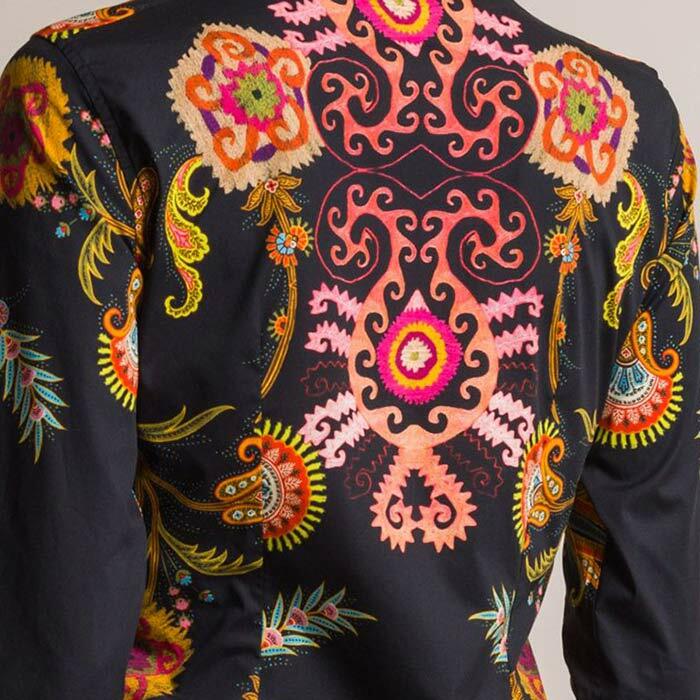 The Etro Fall/Winter 2017 collection is based on the idea of East Meets West, similar to the history of the paisley pattern itself. Tigers, birds, flowers, and exotic patterns are printed in traditional winter colors infused with vivid colors of yellow, pink, green, and blue.